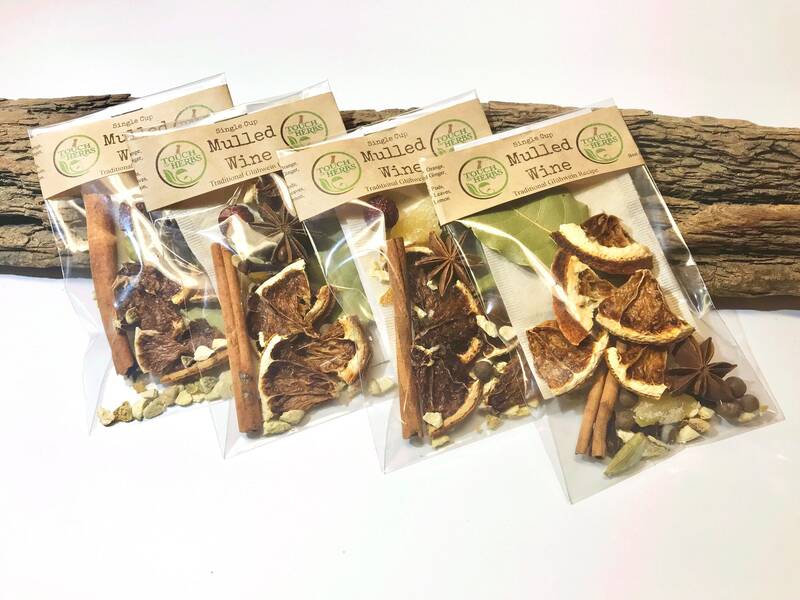 Our Single Use Mulled Wine Blend is for one large Cup of Mulled Wine. 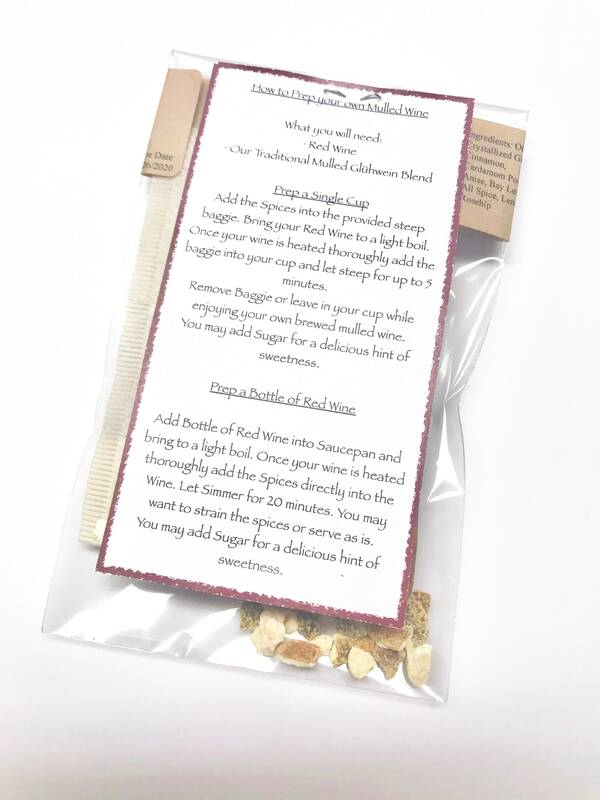 If you plan on preparing a full bootle of Red Mulled Wine i strongly advise to purchase the Set of 4. A good Mulled Wine needs to present the symphony of herbs and spices used, any other way you would just drink a plain heated red wine. If you do have a fresh orange or lemon at home you could also add a few more slices just to enhance the flavor a bit more, but its not necessary due to our Blend being balanced just right. 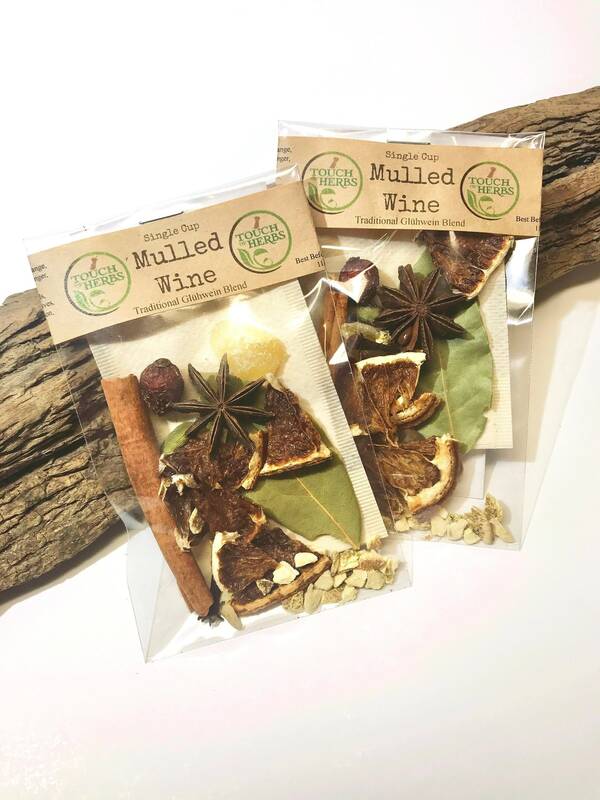 Our Mulled Wine Blend is the traditional "Glühwein" Mulled Wine Blend like my Oma used to make for us and how you will often find on Winter Christmas Markets across Central and Northern Europe. Living in the US now i would love to bring this delicious drink into American Homes. I have served this to so many people by now with everyone loving it so much , i am certain you and your friends will love and enjoy it too. I even went ahead and served it at our Children's Christmas Party in school ( No i did not use the red wine ;) but red grape juice instead. They kids loved it so much and now my children "Glow Punch " is wanted and asked for every year. 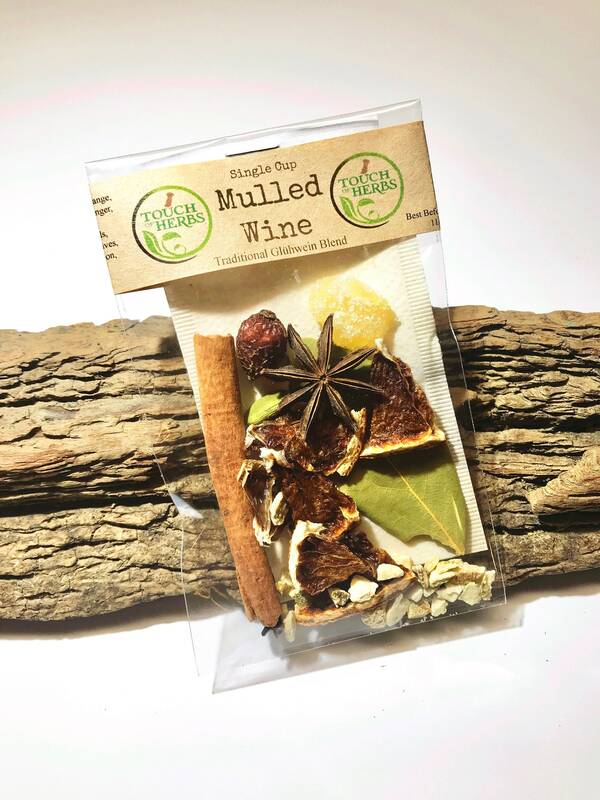 So if you haven't had a Mulled Wine yet , give it a try and most likely no winter will pass no more where it will serve you greatly during a cold night in front of the fire place or get together around the fire pit. And if you have children make sure to always have a bottle of red grape juice on hand so you can enjoy it all together.